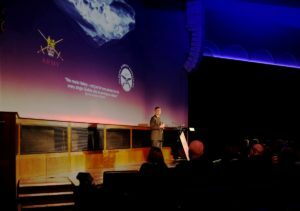 On the evening of the 28th November the Gurkha Everest team who successfully placed 13 Serving Gurkhas on the summit of Mount Everest in May 2017 gathered for a talk and thank you event at the Royal Geographical Society in London. 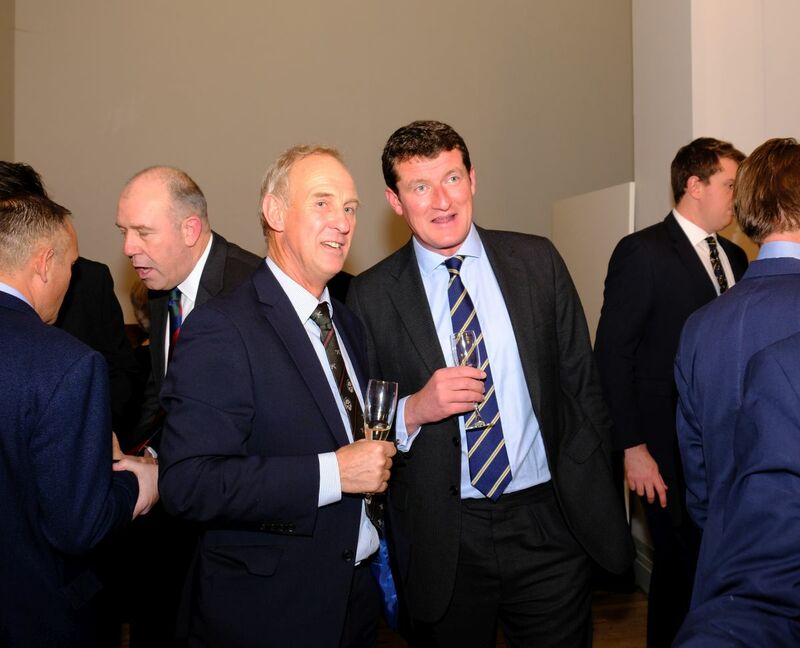 After initial drinks in the Ante room the guests moved to the main lecture theatre where Colonel James Robinson, Colonel Brigade of Gurkhas opened the evening thanking all those who were in attendance for the support given to the project and how proud the Gurkha community is of this achievement. He finished by reading a letter from the Royal Patron of the expedition, HRH The Prince of Wales, to the team congratulating them on their success. The Chairman of the Expedition, Brigadier Ian Rigden OBE spoke and stated what a fantastic achievement it was and he thanked key personnel involved in the planning over 6 years for their dedication to the tasks in making the summit bid even possible. It was then over to the expedition team. 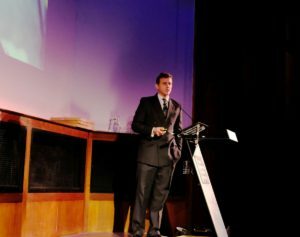 Major Andrew Todd MBE described the expedition and its technical demands in detail before handing over to other team members for more personal stories. Each speaker was clearly proud of their success and stated how team work had played a major part during the build up, through training around Wales, Scotland and then Europe. Then once on the mountain itself the team were strong, capable and worked together to reach the summit. 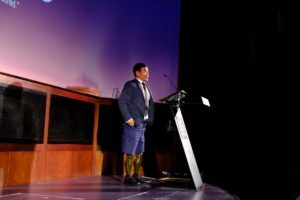 Before the evening closed a Gurkha Veteran and double amputee, Hari Budha Magar spoke about his own quest to attempt to summit Mount Everest in 2018. In 2010 Hari lost both of his legs above the knee and sustained multiple injuries from an improvised explosive device in Afghanistan. 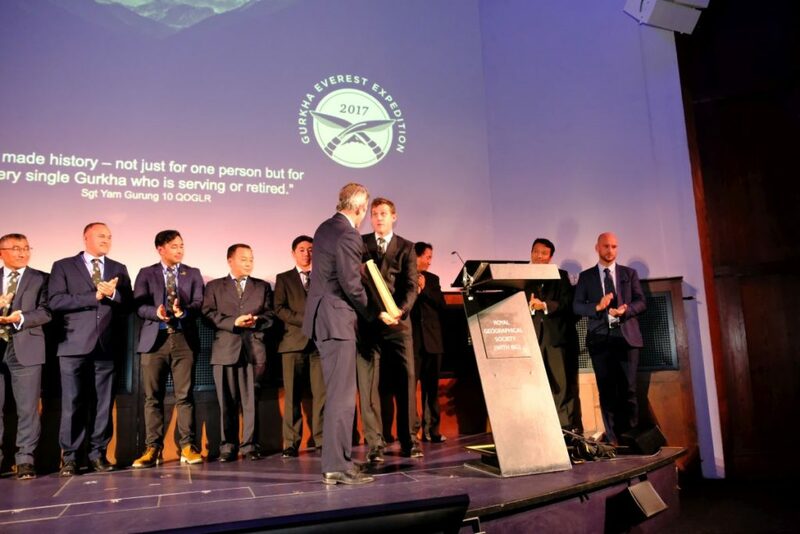 The evening was closed by Lieutenant General Nick Pope CBE, Colonel Commandant Brigade of Gurkhas and President of the expedition, who again stated he was immensely proud of the achievement and thanked all those involved and praised the team for such a fantastic effort in achieving the goal. You can find our more about how the team reached the top of the world on this webpage.